THE FABULOUS CANTERBURY. 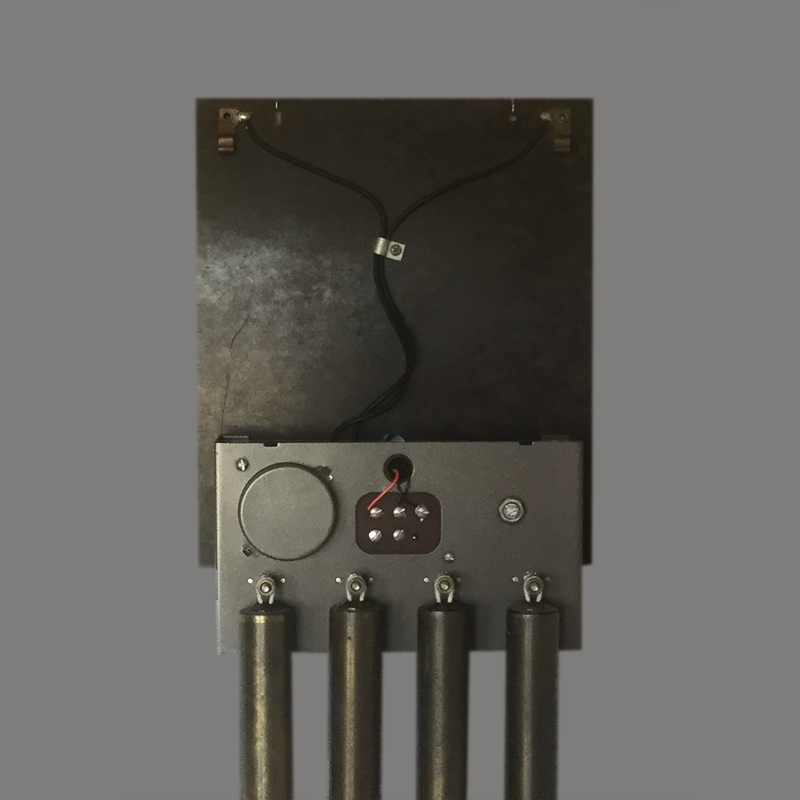 Here is the outstanding chime among the door chimes. A beautiful rubbed mahogany case with touches of gold. Famous Telechron clock movement for accurate time. 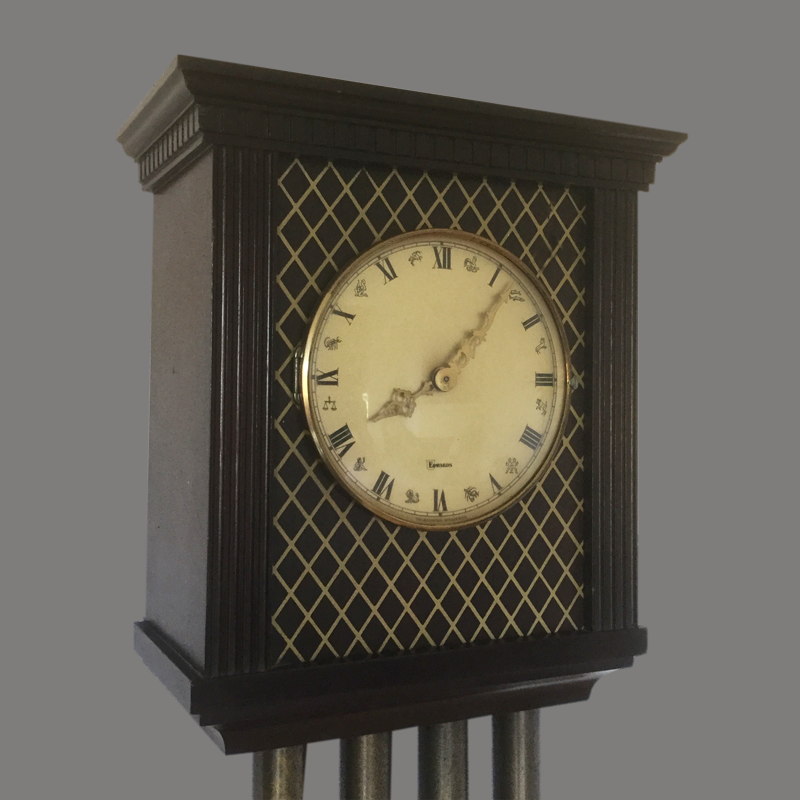 Imported European clock face finely detailed for the utmost beauty. Eight note Westminster melody. two note, one note. 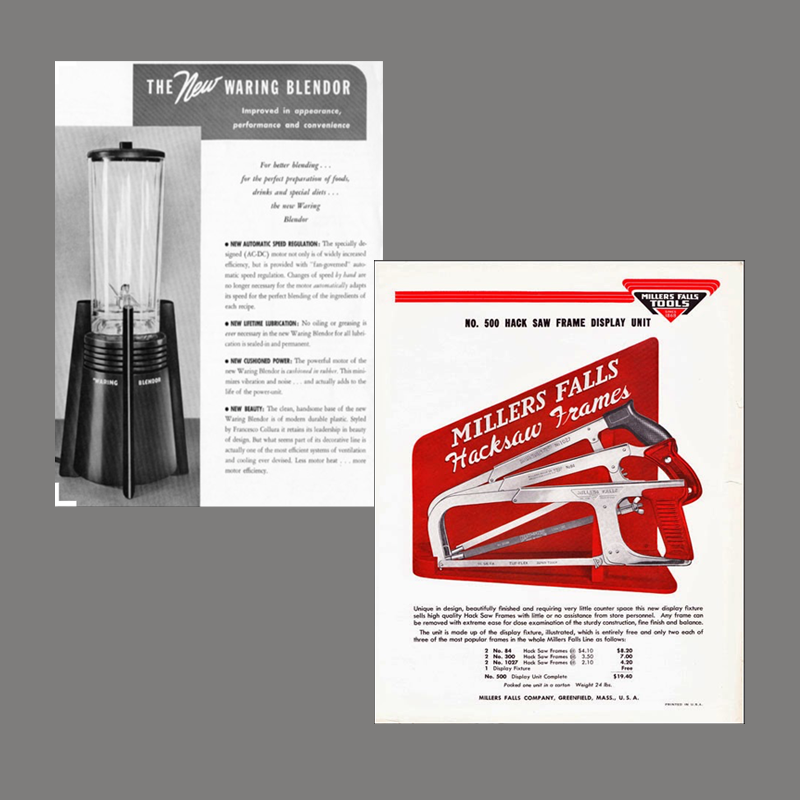 A period ad from a trade periodical confirms a design by Francesco Collura, an innovative and prolific product designer with credits including the “spaceship” blender for Waring and hand tools for Millers Falls. 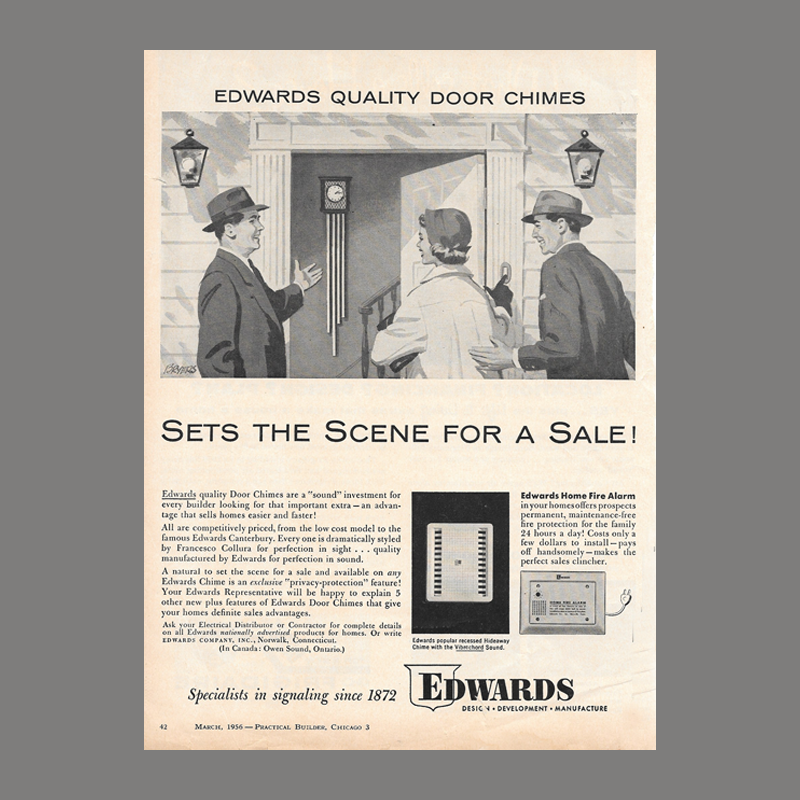 The Cantebury is believed to be the first use of the “inverse skyscraper” arrangement of bells with the longest chime second from the left intentionally interrupting the typical progressive configuration favored by other four bell door chimes. This arrangement is exclusively found on Edwards and Miami Carey four note chimes. A clock face with the twelve signs of the Zodiac in the chapter ring is unique to this chime. 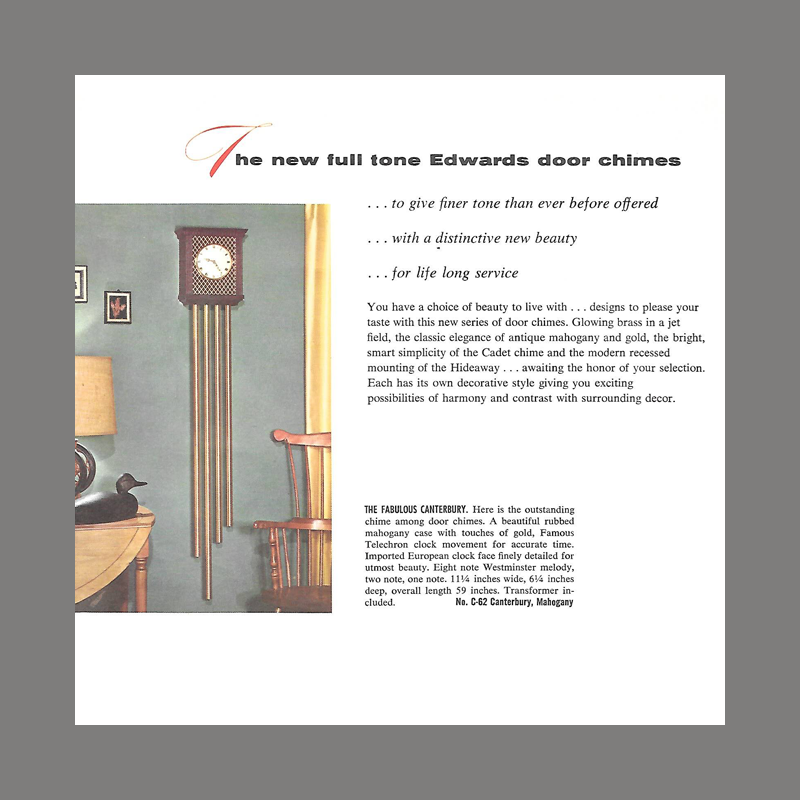 Despite a competitive price point, the Canterbury was not a big seller in comparison to chime-clock offers from other makers. Cover Mahogany with gold details. 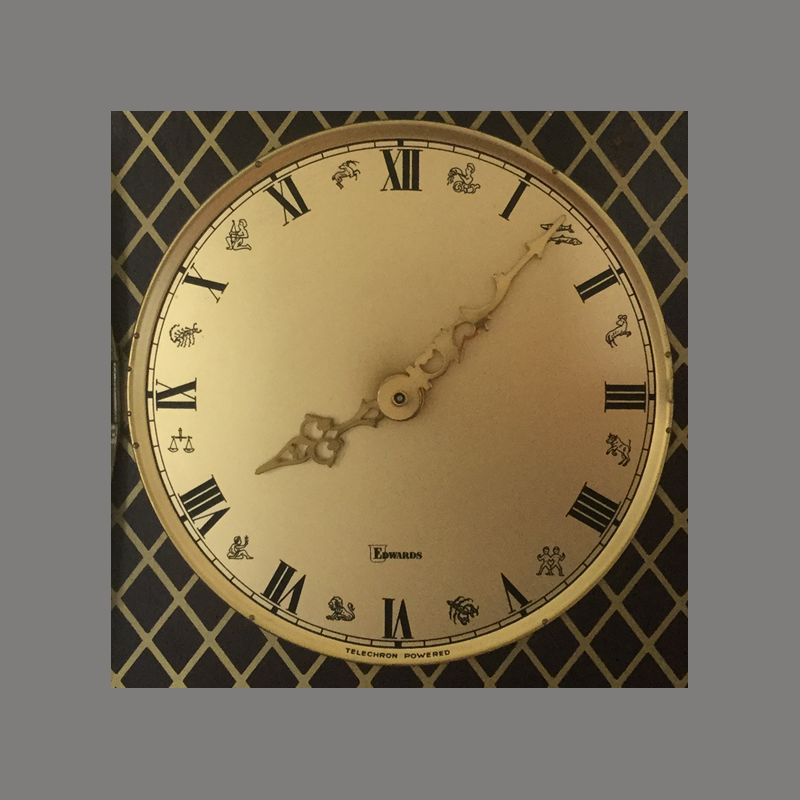 Enameled steel clock face with brass bezel. Mechanism Stamped steel on hardboard base.